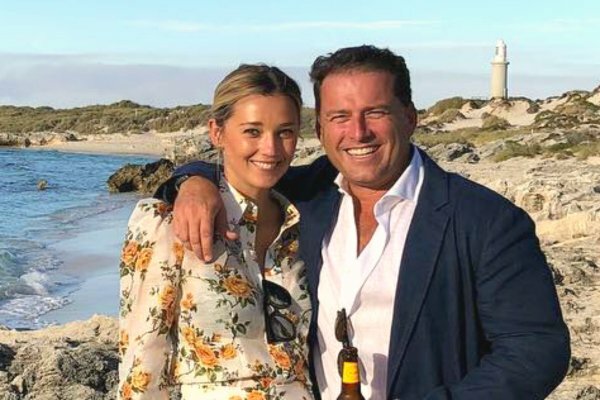 The hidden details from Karl Stefanovic's wedding to Jasmine Yarbrough. The three tiny details you missed from Karl and Jasmine's luxurious Mexican wedding. The wedding between Karl Stefanovic and Jasmine Yarbrough was one of the most highly anticipated ceremonies this year and today, they said ‘I do’ in front of 200 of their closest friends and family. The ceremony took place at sunset at an intimate chapel at the One&Only Palmilla Resort in San Jòse del Cabo, Mexico, with their wedding festivities spanning three days. Because why not? In attendance was Julie Bishop, Shane Warne, UK socialite Louise Roe, as well as Karl’s Today show colleagues, Sylvia Jeffreys, Richard Wilkins, and his son, Christian Wilkins. Two of Karl’s children were also at the ceremony. According to Woman’s Day, Jackson, 19, and Ava, 13 watched their father get married, while youngest child, River, 11, was absent, despite being seen at the welcome dinner on Thursday night. However, while we’re all gushing at Jasmine’s unconventional dress choice and the the wedding guests fashion at the luxe, beach-side event, here’s some details you might have missed. 1. The slight height difference between Karl and Jasmine. Pairing her custom-made J.Andreatta gown with strappy white heels, the heel height meant that the former model was just a little bit taller than her now-husband. Of course, height doesn’t mean anything in a relationship, but tall girls will understand the dilemma of wanting to wear heels while not towering over their partner. 2. The adorable party favours. 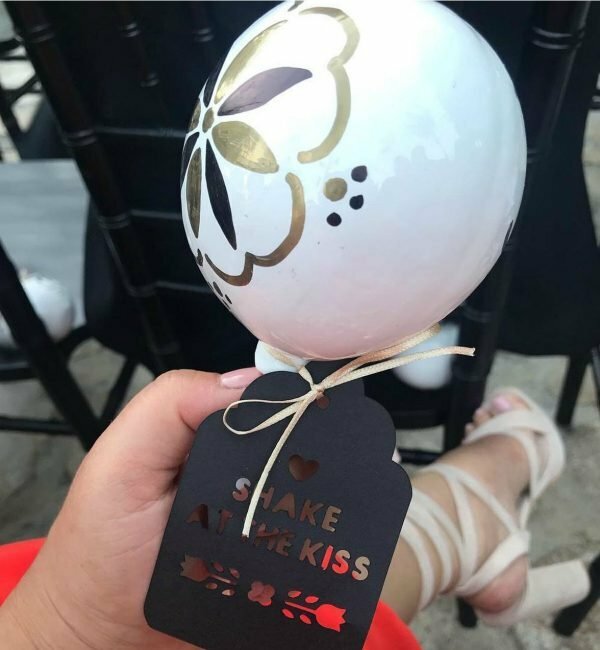 Wedding guests were given maracas, which had the a note instructing them to “shake at the kiss,” and while we’re normally against any kind of forced audience interaction, this idea is pretty sweet. 3. The groomsmen all wore R.M. Williams. Despite choosing the beautiful beaches of Mexico to celebrate their wedding, little dashes of Australiana still made it into their wedding. Karl wore a very dapper white Tom Ford suit, but it was his personalised R.M. Williams boots that caught our eye. The iconic Aussie shoe was also worn by Karl&apos;s groomsmen, which included his brothers Tom and Pete Stefanovic, Josh Yarbrough (Jasmine&apos;s brother), and friends, Ben Tilley, Mick Doohan, Steve Marshall and Alan Rogina. Did you notice any hidden details from their big day? Tell us in a comment below.